Get school credit for improving the environment? Watershed Progressive (WP), is looking for quality interns to join our Groveland and Ojai teams. SWP is an industry leader in sustainable water reuse providing water education, consultation and design/build services for residential and commercial clients. 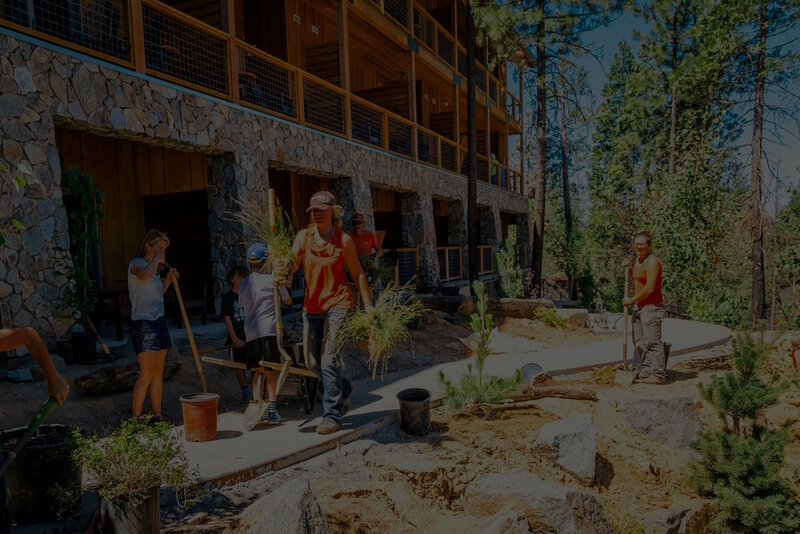 We integrate onsite water capture (rainwater, greywater, stormwater) with ecological and permaculture design principles to conserve water, sequester carbon, build soil, create wildlife habitat and create beautiful ecologically sustainable landscapes. The ideal WP intern is passionate about the environment and is looking to gain experience in the real world of water conservation. On completion of the program the intern will have gained broad exposure to a variety of water conservation techniques such as: rainwater harvesting, greywater reuse, stormwater management and integrated watershed planning. This is an unpaid volunteer internship of approximately twenty hours a week. Arrangements can be made to meet requirements for class credit. Housing /camping may be available. These positions are open until filled. The applied technology intern will work with the SWP team to further build capacity in applied technology as it relates to watershed health. Potential projects include GIS mapping, drone surveying, digital watershed monitoring and augmented reality sandbox construction. The ideal candidate will have a strong background in computer science, IT or related field. Experience with GIS and Linux strongly desired. The Soil Science Intern will work with the SWP team to further build capacity in the area of soil science and conservation. Potential projects include looking at the effect of greywater on soil biology and chemistry, developing soil sampling protocols and creating a soil science educational curriculum. The ideal candidate has a background in biology, chemistry, agriculture or a related subject. The Design and Build Intern will work with WP in the design and construction of rainwater harvesting, stormwater management and greywater systems. The ideal candiate has a strong apptitude for working with their hands and ideally a background in construction or farm work. Experience working with design and drafting software is highly desirable. This position could lead to paid work. The Grant Writing Intern will work with SWP out of the Groveland office. Grant writing interns should be capable of researching funding opportunities within fixed guidelines, initiating and maintaining contact with foundations and writing grants for eligible funding. This would require an intern with strong research, writing and analytical skills. Previous experience in research and/or grant writing preferred. This position could lead to paid work. The Policy Intern will work with WP staff conducting legislative research, developing water policy fact sheets, tracking legislation, and attending hearings and briefings. This would require an intern with strong research, writing and analytical skills.